So this is the second attempt for writing this blog. My husband just felt the need to interrupt my train of thought and I lost about 45 minutes of my work. UGH! Doesn't he know not to interrupt...apparently not! I wanted to share my Intervention Goodie Bag Idea with you this week. I am getting ready to send them home at our Fall Parent Teacher Conferences and am pretty excited with what I came up with this year. I've always sent goodies home but this time is more extensive than in the past. And if you do something similar, I would love to hear what you include in yours or if you have a product you sell that you think simply must be included. Just comment below this post! The first item included in my Goodie Bag is a set of Lowercase Blue and Red Magnetic Letters from Educational Insights. I love that they are lowercase, they match the letters I use regularly in my classroom, and I absolutely love that the PTO funds them for me. They requested that I collect them at the end of the year instead of gifting each student with a set. My first order dwindled slowly over about 5 years and my second order is ready to go this year. Not bad... I also love that students can visually see that each vowel is red and that EVERY SINGLE WORD WILL HAVE AT LEAST ONE RED LETTER! In addition, I include a list of how to use the magnetic letters as well as an explanation that the PTO purchased them for "temporary use"! Next, I include an alphabet strip that shows "The Phonics Dance" as most K-1 teachers in my building use this. Intervention students benefit from the consistency between in class and out of class so this applies to at school and at home as well! If you do not use this program, feel free to include any alphabet strip that works for your students best! The rest of the goodies, I will tell you about this weekend. So be sure to stop back then. 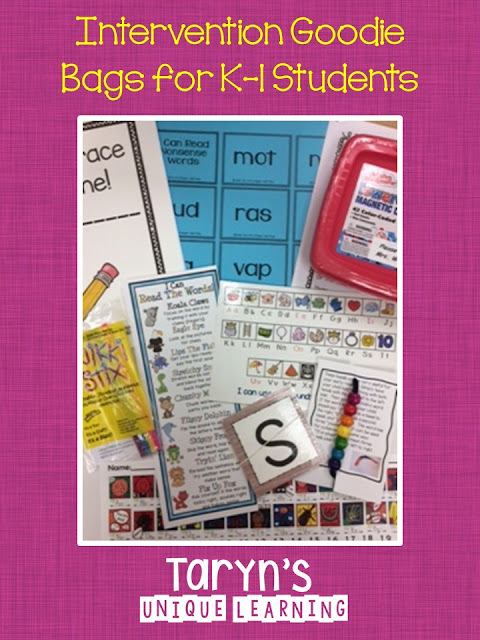 Also, check out below for some great items that your students will benefit from doing at home this time of the year for extra practice. 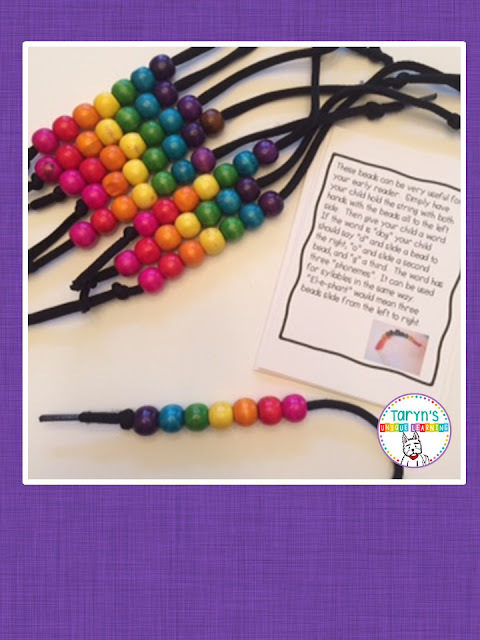 My TPT friends are sure to post some goodies that will be of interest to you! Thank you for the Halloween link up!